WHY DOES THE BOOK OF REVELATION NOT BEING PREACHED TODAY? My purpose in this study, is to address the issues and difficult questions that always arise when we read the book on the surface. THE REVELATION in the bible is NOT a ‘light read’ of biblical metaphors. Like All Scripture, the words describe an unveiling of the truth–past, present, future. It is NOT like a “crystal ball”; no fantasy made up by man. As I began this investigation study in the last Book of the New Testament, and… for as many times I’ve read and studied the words in the past, I still come with some anxiety. 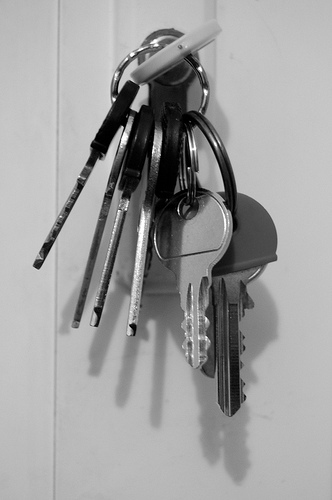 But since I was prompted going forth by the Holy Spirit– ( I don’t debate with the Holy Spirit), I found myself underlining words and phrases in Chapter One; making notes in the verses, following up with other biblical passages to give me (“you”) a spiritual glimpse–the “needed keys” available into the mysteries often overlooked. My intentions throughout the course of this study is not to debate this study. Nor do I intend to blog about every chapter in the Book. I will be posting only what the Spirit directs me to write and proclaim. So grab your Bible, ink pen, highlighter, and let’s get started! The theme is not the seven churches, not the seven bowls, the seven trumpets, the Beast, the Antichrist or the symbolism. The THEME is Jesus Christ Victorious!!! 1. What John has seen. 2. What John is presently seen. In other words, write down the past, present and future events: “Write therefore, what you have seen (The Past)” – the Lord Jesus as the Glorified One. 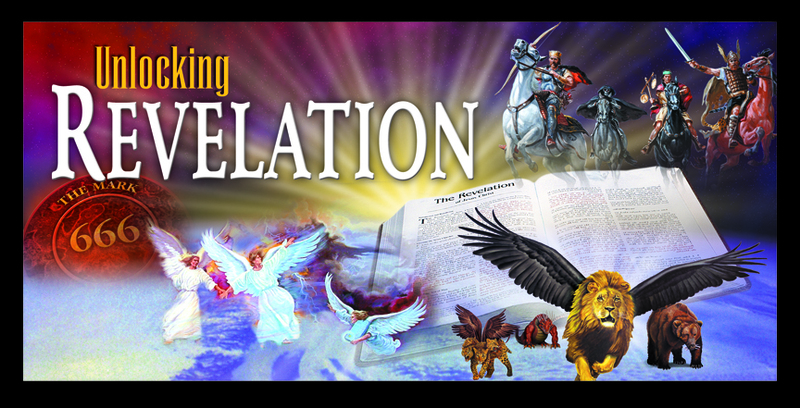 **NOTE: “Revelation” not Revelations” (plural). It is the “Revelation” of JESUS, not of John. If your Bible says The Revelation of St. John the divine…IT’S WRONG. I want to show you an invaluable KEY when reading and understanding in any biblical study. I underline with pen on the bible pages, certain words that stick out to me. Then, with the leading of God’s Spirit, I use resources I have at hand (Expository Dictionary, Vine’s Complete Dictionary, etc.–or even Google). 1. “REVELATION”=apokalypto (Greek); where we get the English word “Apocalypse”: (unveiling, disclosure) of Christ Jesus. 4. ANGEL= Messenger of God (anyone, human or heavenly, who proclaims God’s message). 6. BLESSED= the first of the seven beatitudes in the book; Greek word “Makarios” = “HAPPY, HAPPY” are those who will enjoy eternal life in glory (See footnote [i]). “BLESSED”= a favorable circumstance God puts on a person– Psalm 1:1; Matthew 5:3. 7. PROPHECY= means foretelling the future as well as proclaiming any word from God. 8. SEVEN SPIRITS= The Holy Spirit in each church? 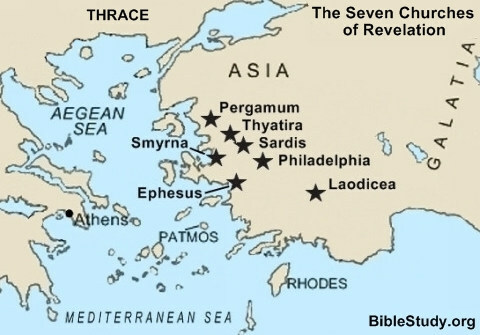 The SEVEN CHURCHES listed are located 50 miles apart forming a circle in Asia Minor, moving in a clockwise direction. Using Bible Maps can give you an additional perspective in understanding. Psalm 22:16: “For [like a pack of wild] dogs they have encompassed me, a company of evildoers has encircled me; they pierced my hands and my feet” (Amplified Bible). So shall it be! AMEN= A double affirmation. 11. ALPHA & OMEGA= first and last letter of the Greek alphabet. GOD is saying He is beginning and the end; He is and was and will be. 12. SUFFERING, KINGDOM & PATIENCE= the three pivotal themes in REVELATION. 13. PATMOS= a small island off the coast of modern Turkey. JOHN was imprisoned here until his release in 96-98 AD. [*Note: Suggestion: look up “Patmos” on a map for reference]. 14. THE LORD’S DAY= technical term for the first day of the week; so named because JESUS rose from the dead on that day. Also, the day Christians met together, took a collections, and why we attend church on Sundays today (Acts 20:7; 1 Corinthians 16:1-2). 15. IN THE SPIRIT= In a state of Spiritual Exaltation–not a dream, but a vision like Peter’s– [Acts 10:10]. 16. SCROLL= pieces of parchment or papyrus sewn together and rolled on a spindle. The book was not invented until about 2 AD. 17. SEVEN= Hebrew number of perfection or completion. 18. SEVEN GOLDEN LAMPSTANDS=the SEVEN churches (Vs. 1:20). 19. SON OF MAN=Jesus Christ. Daniel 7:13, 14: “In my vision at night I looked, and there before was one like a Son of Man, coming with the clouds of heaven. He approached the Ancient of Days and was led into his presence. He was given authority, glory and sovereign power; all peoples, nations and men of every language worshiped Him. His dominion is an everlasting dominion that will not pass away, and His kingdom is one that will never be destroyed. 20. ROBE TO HIS FEET= traditionally, the high priest wore a full length robe to his feet. Bible References: Exodus 28:4; 29:5. Reference to Christ as the high priest supported the fact that He is wearing a golden sash around His chest. 21. WHITE LIKE WOOL= suggest wisdom and dignity. Daniel 7:9: “I kept looking until thrones were placed [for the assessors with the Judge], and the Ancient of Days [God, the eternal Father] took His seat, Whose garment was as white as snow and the hair of His head like pure wool. His throne was like the fiery flame; its wheels were burning fire” (Amplified Bible). 22. EYES LIKE BLAZING FIRE=penetrating insight. 23. SHARP DOUBLE EDGED SWORD= the sword is the Word of God which is used for our protection, but also our divine judgement. 24. FELL AT HIS FEET= great respect and true awe! 25. LIVING ONE= Based on Old Testament references to the Living God; in contrast to the dead gods of paganism–Christ Jesus possesses life in His essential nature. 26. KEYS OF DEATH AND HADES (Sheol, or the place of the dead)= Christ has absolute control over their domain. 27. ANGELS=heavenly messengers, earthly messengers/ministers, personifications of the prevailing spirit of each church. This book is primarily a book of prophecy; it seems to begin as an epistle or a letter. It addresses SEVEN different churches with SEVEN different problems or challenges. * Eschatology= Doctrine of last days. * The final state of the wicked and the righteous–the unsaved and the saved. As we go through The Book of Revelation in the weeks to come, I will try to point out ties between the Old Testament and the New Testament. In Genesis the earth was created; in Revelation it will pass away. In Genesis was Satan’s first rebellion; in Revelation Satan’s last rebellion. In Genesis the sun, moon and stars were meant for the earth’s government; in Revelation these same heavenly bodies are for the earth’s judgement. In Genesis the sun was to govern the day; in Revelation there is no night. In Genesis the entrance to SIN; in Revelation the exodus of SIN. In Genesis death entered; in Revelation there is no more death! In Genesis Satan’s doom being pronounced; in Revelation Satan’s doom is executed. Feel free to point out in this series notes you made, discoveries you found in the comment section of this blog-site. It will be helpful to all who follow along. PART 2 to follow in Revelation 3. So start reading in your own bible (ink pen) and I’ll see you there! EXPOSITORY DICTIONARY OF WORDS – Stephen D. Renn. “but with temptation…” (verse 13). Most of us go out into the world each day ill-prepared for a “spiritual battle”. 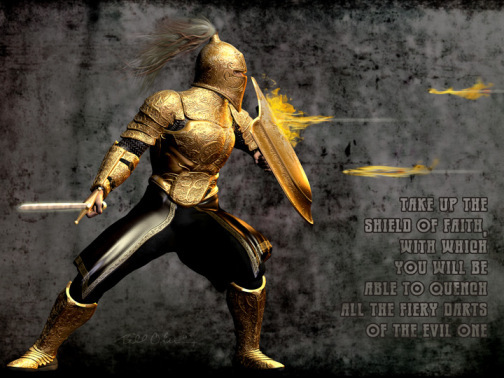 Ephesians 6:13-18 informs us that not only are we to get ready, but to stay ready and “put on the full armor of God”. Yeah, I know, many of you who are reading this series on TRIAL and TEMPTATION are saying, “I know that verse all to well”, or maybe…”I know what the Bible says about being prepared and being strong against trials and temptations.” That might be the case, but have you tucked the POWER of Ephesians 6:13-18 so far away, when trials and temptations arise…you forget where it is? Think of yourselves as a tube of “spiritual toothpaste”–PRESSURE brings out what’s really on the inside. TEMPTATION: peirasmos from peiazo = To make trial of, try, tempt, prove in either a good or bad sense. It describes first the idea of putting to the test– then refers to the test or pressures that come in order to discover a person’s nature and the quality of some thing. Peirasmos implies TROUBLE or something that breaks the pattern of peace, joy, and happiness in someone’s life. “Consider it wholly joyful, my brethren, whenever you are enveloped in or encounter TRIALS of any sort or fall into various TEMPTATIONS. Be assure and understand that the TRIAL and proving of your faith bring out endurance and steadfastness and patience” (James 1:2-3 AMP). OVERTAKEN: lumbano = Taken hold of, grasped, seized and in so doing, bringing under one’s control. In some secular uses, “lumbano” meant to be taken by violence, seized, carried off (as a prize or booty). It was also used of passions, feelings, etc.–meaning to be seized by a thing– “caught in the webs ‘stabilimenta’ or elaborate web decorations” [*See Part 1]. The perfect tense emphasizes that they had not only been solicited by TEMPTATION but seized and overcome and that this temptation “has laid hold of you” (Berkley, Wuest, Amplified). Using the perfect tense brings us down to the present moment; there has never been “peirasmos me anthropinos.” In addition to this there is certainty that God will never prove FAITHLESS. COMMON TO MAN–Such as is human! J. Vernon McGee writes that…A great many people feel that nobody has ever been tempted as they are tempted. My friend, no matter what TEMPTATION you experience, there have been others who have had the same kind of temptation. The encouraging thing is that God will make a way of escape for you. God is FAITHFUL, He will not let you be tempted beyond what you can endure. We often want to excuse our particular tempting circumstance as “very unique” or a “special exception.” But God reminds us our temptation is NOT unique…that many other men and women of God faced the same or similar temptation, found the strength in God to overcome the temptation. Others before you found strength in the Lord to overcome your temptation and worse! “But clothe yourself with the Lord Jesus Christ (the Messiah), and make no provision for [indulging] the flesh [put a stop to thinking about the evil cravings of your physical nature] to [gratify its] desires (lusts)” (Romans 13:14). “But I say, walk and live [habitually] in the [Holy] Spirit [responsive to and controlled and guided by the Spirit]; then you will certainly not gratify the cravings and desires of the flesh (of human nature without God). For the desires of the flesh are opposed to the [Holy] Spirit, and the [desires of the] Spirit are opposed to the flesh (godless human nature); for these are antagonistic to each other [continually withstanding and in conflict with each other], so that you are not free but are prevented from doing what you desire to do” (Galatians 5:16-17 AMP). “BUT GOD IS FAITHFUL” – (verse 13). Word Study: FAITHFUL – (pistos from pertho – to persuade or induce one by words to believe, have confidence), is something or someone who’s worthy of faith or keeps promises and is applied to God, humans, His Word, etc. “Inasmuch then as we have a great High Priest Who has [already] ascended and passed through the heavens, Jesus the Son of God, let us hold fast our confession [of faith in Him]. Let us fearlessly and confidently and boldly draw near to the throne of grace (the throne of God’s unmerited favor to us sinners), that we may receive mercy [for our failures] and find grace to help in good time for every need [appropriate help and well-timed help, coming just when we need it]” (Hebrews 4:14-16 AMP). In short, NO TRIAL/TEMPTATION is naturally stronger than our spiritual resources. People sin because they willingly sin. Notice that God doesn’t promise to deliver us from the trial/temptation but He does promise to LIMIT its intensity so that it does not overwhelm our ability to handle it! He also promise to provide the way of escape that we might be enabled to bear up under the trial/temptation (Gen. 19:20,21; Psalm 124:7; Jeremiah 29:11; Lk. 16:26; Acts 27:44; Jas. 5:11). Listening every moment to the Spirit’s call. “PATIENCE has the meaning of testing–a thing drawn out and tested, drawn out to the last strand without breaking, and ending in sheer joy. The strain on a violin string stretched to the uttermost gives it its strength; and the stronger the strain, the finer is the sound of our life for God, and He never strains more than we are able to bear” (The Hope of God – The Ministry of the Unnoticed). 1. Others have already gone down the same path. 2. God can be trusted in your trial and temptation. 3. God will not allow too great a temptation or test to come into your life, although, it may feel that way. 4. With every TEMPTATION or TEST, there is the way of escape. “The Way…” does not lead us to a place where we escape ALL temptation (that’s heaven alone), the way of escaping THE WEB leads us to te place where we are able to bear it. We are reminded that to be tempted is not sin, BUT TO ENTERTAIN TEMPTATION OR SURRENDER TO TEMPTATION IS SIN. When we bear temptation, Satan often condemns us for being tempted (Rev. 12:10; Job 1:9-11; 2:5; Zec. 3:1-2). But it is that condemnation from Satan the Christian does not need to accept (Eph. 6:13; James 4:7; 1 Peter 5:9). REMEMBER, God provides the armor, but we must completely put it on. 1. Temptation – Greek Word, PEIRASMOSS – Trials of a varied character. 2. Escape – Greek Word, ekbasis – Way or escape, the way out of a defile, a mountain pass (a WEB). 3. Bear (endure) – Greek Word, HUPOPHERO – To bear up under. 4. Faithful – Greek Word, PISTOS – To be trusted; reliable. So if you were to commit this verse to memory, you will be able to resist the grasp; the single stand of the Spider’s WEB and ESCAPE the snare of Satan. 1 Corinthians 10:13: “No temptation has overtaken you but such as common to man; and God is faithful who will not allow you to be tempted beyond what you are able, but with the temptation the way of escape also, so that you will be able to endure it” (NASB). 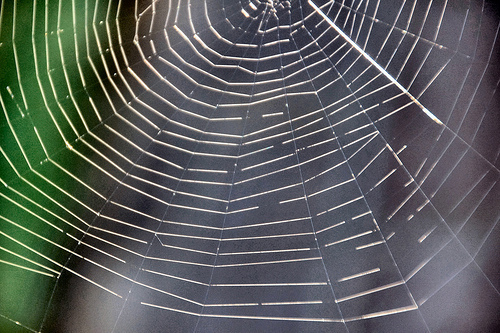 REMEMBER, it only takes one thread to ensnare you…then the hold of the WEB. Avoid the “thread” avoid the SIN!